Happy Military Monday! 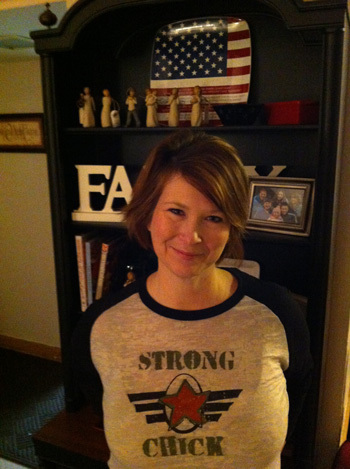 Meet another amazing Strong Chick, Carol Herrick! 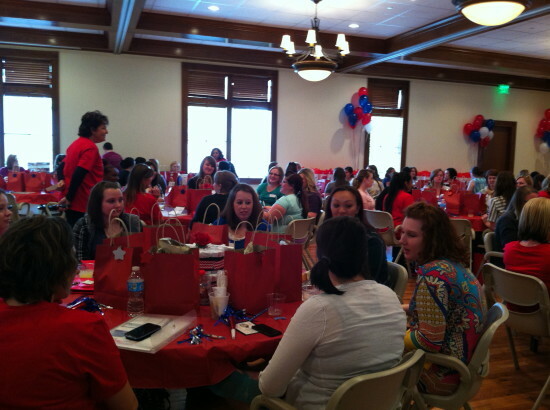 She is the Executive Director of Operation Homefront of Oklahoma and Arkansas. I had lunch with Carol a few months ago to discuss Happy First working with Operation Homefront. Carol is so sweet and just amazing. And she gave me a glimpse into the military world and I just fell in love with her and what she does. She helps so many people! 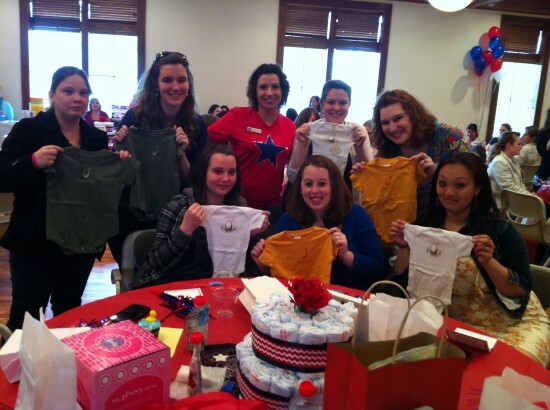 And Operation Homefront is such a wonderful organization. I am excited for Happy First to be giving to Operation Homefront (and several other military organizations) with Happy First Strong Chick sales. I am a military spouse that has been married to my Soldier for almost 22 years. He has been in the Army for 21 years—yup, we got married first! He was a chemical engineering student at the University of Maine, came home one day and said “Honey, I did this thing today and I am not sure you are going to like it, but it will be okay”. It turns out it was the second best decision he has ever made! The first time we came to Fort Sill, it was June and it was HOT. I thought “Oh goodness, where did you bring me”. I was a very naïve girl from New England. The second time we came back to Oklahoma , I asked “the Army really doesn’t look at those wish lists they have you fill out do they?”. The THIRD time we arrived at the gates of Fort Sill, I said” Alright, there is something that I am meant to do here…” We haven’t left yet. I rolled up my sleeves and got to work. I have worked with military families for approximately 15 years in a variety of volunteer and paid positions. Three years ago, I got a call to interview for a nonprofit that helped military families and wounded warriors. With an amazing dedicated Board of Directors, a grant for my salary and $1,100, we began an amazing journey. It has been scary at times, and really pushed me outside of my comfort zone but I think I have found my calling. What we have been able to accomplish in three years is amazing, and I am very proud of the work we do. I love getting to know the families we serve on a personal level and helping them through some of the most difficult challenges of military life. They truly are MY family. 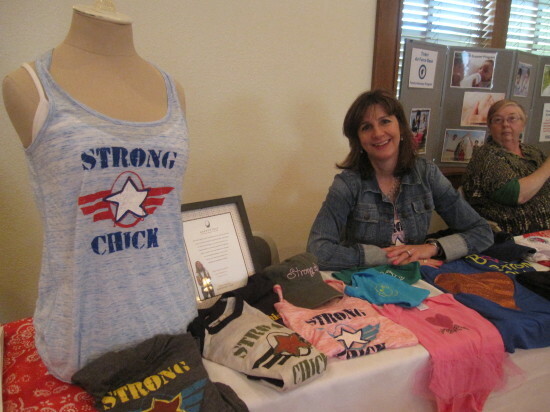 Check out our latest Strong Chick interview on Veteran’s Day in Sacramento, California featuring Ally & her mom Pam-Ally is the creator of the Strong Chick idea. To make it easier on ya’ll to find Strong Chick tees on our site, we now have a tab just for Strong Chick. Also, join our newsletter list-a special email coming out tonight to announce a special presale just for our newsletter subscribers! Sign up to the right.